With beautiful beaches, incredible weather and loads of fun activities, the Caribbean is a great choice for a family holiday. If you’re stuck for things to do during your stay, check out our list of top 10 family attractions in the Caribbean. Be Willy Wonka for the day with a visit to the Grenada Chocolate Company. A multilingual guide will take you on a tour of the factory to see how chocolate is made. Don’t forget to stop off at the gift shop to snap up a few chocolate bars to take home. Get everyone dancing together with family salsa classes. A qualified dance instructor will take you through the steps and have you all dancing like professionals in no time. Stroll through the reserve’s mahogany woodland and see many fascinating creatures — including green monkeys, flamingos, armadillos and caimans — which wander freely throughout the park. Explore St Lucia on a coastal or river kayaking excursion. Your guide will take you to breathtakingly beautiful places most tourists don’t get to see and there will also be plenty of opportunities for snorkelling, shopping and lunch. Relax and enjoy your holiday whilst the kids have the time of their lives hiking in the rainforest, bird-watching, canoeing and learning photography skills at this summer camp. Experience the magic of horse riding along a beautiful golden beach. Whether you’re a professional or amateur, the trainers will find the perfect horse to suit you. Climb on-board a catamaran and head to the barrier reef where you can snorkel and see a huge array of colourful exotic fish. Stop for a light lunch before continuing on to a stunning beach where you can take a dip in the glistening azure ocean. Explore some of Mexico’s most fascinating sites on this full day tour. You’ll visit a Mayan ruin site, drive along some stunning beaches and pound the jungle trails. 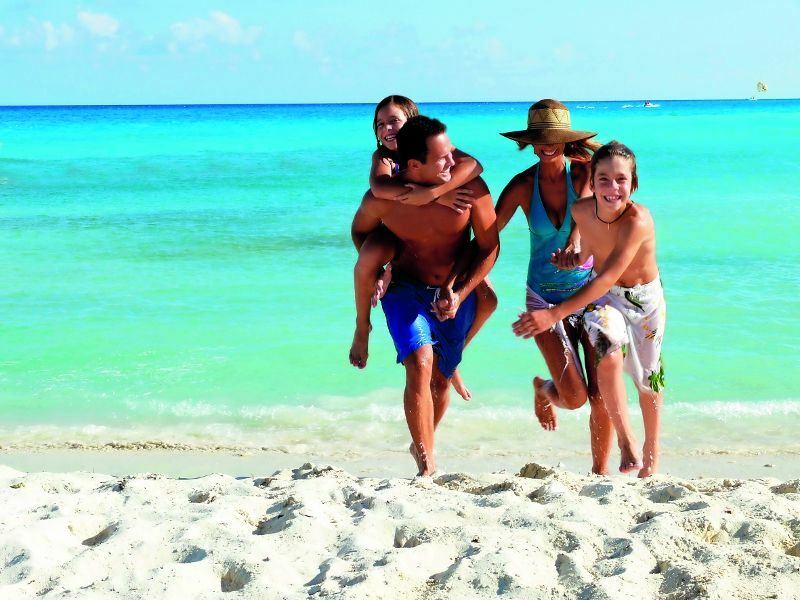 You’ll also have the opportunity to enjoy a Mayan lunch, cliff dive and snorkel on this family-friendly excursion. Visit the Xplor adventure park where you can soar like a bird along a network for 11 zip lines, drive amphibious vehicles through underground caverns and sail on a raft through a stalactite wonderland. Gather on the beach during a summer evening and witness the once-in-a-lifetime sight of female turtles digging nests and laying their eggs in the sand. Further reading: Check out the top 10 family hotels in the Caribbean for fabulously fun-filled family holidays, all promising outstanding activities for kids and parents. Article written by Nicole Quinn.